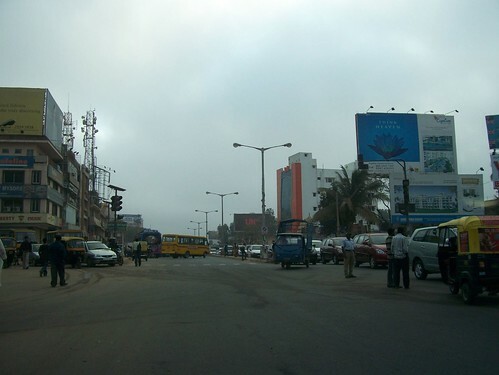 Bangalore Metblogs » The Strike Continues..
As the Private transporters strike continues the roads look deserted. Public transport & private vehicle drivers got their paradise back while driving on these almost empty roads, their time to travel regular destinations is a record low. On the other hand, several employees, especially in the IT and BPO sectors, had been affected by the stir and have opted to work from home. The busy marathalli junction was almost deserted at the peak morning hour and it took me a record 20 minutes to drive from Indira nagar to ITPL…. Hey… do know anything about a imminent petrol bunk strike that’s gonna happen today? Anyways, I’ve filled up my tank.. better to be safe than sorry..